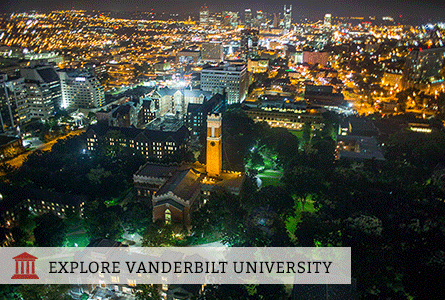 Vanderbilt has four undergraduate schools: College of Arts and Science, Blair School of Music, Peabody College of Education and Human Development, and School of Engineering. Each undergraduate school offers programs through which students can earn combined baccalaureate/master’s degrees in five years. The student-to-faculty ratio is 7:1 and 91% of classes have fewer than 50 students. Over 50% of undergraduates participate in research. Immersion Vanderbilt calls for each undergraduate student to undertake an intensive learning experience in and beyond the classroom with choices in four pathways: civic and professional, creative expression, international, and research. About 70% of students complete an internship while at Vanderbilt. The Wond'ry, a new center for innovation and entrepreneurship, facilitates collaborative work environments, houses makerspaces, and sponsors curricular programming. Students take advantage of 120 study abroad programs in more than 35 countries on six continents.